“I’ll never look like Zac Efron or any of them male heartthrobs in the movies, it’s just not realistic” says Shane Clayton, a Dublin under 21s footballer. From an early age boys are encouraged to think that being a man and being physically strong go hand in hand. As they grow older the pressure to ‘man up’ can sometimes lead to crash diets, over exercising, or even taking dangerous supplements. Even toys contribute to boys wanting to achieve the ideal body, as muscular action figures set the benchmark body image that boys grow up wanting to achieve. A recent study published in JAMA Paediatrics amongst a sample of adolescent boys, reveals that nearly 18 per cent of boys are highly concerned about their weight and physique. 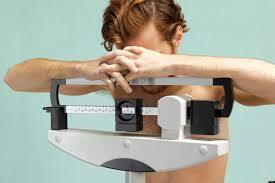 Unlike girls, most boys aren’t as concerned with losing weight. They strive to achieve a higher muscle mass and muscular tone. “You want people to be concerned enough about their weight to make healthy decisions, but not so concerned that they’re willing to take whatever it takes, healthy or unhealthy to achieve their desired physique,” says Dr Alison Field professor of paediatrics and the lead authority of the study. Magazines and websites increasingly display bare-chested men with impossibly chiselled physiques and six pack abs as a way of promoting healthy living or clothing. The reality of this is not all healthy men have mountains for muscles or washboard abs, creating the illusion that healthy men should have similar bodies to these photoshopped, steroid infused men. This negatively affects men’s psychology leading them to believe they should look like what ‘social media’ says they should look like. “It depends on the kind of person you are, but some men want big muscular physiques and push themselves way too hard in the gym along with taking unnecessary performance enhancement drugs to achieve these terminator bodies,” says Shane. “Today there is a lot more pressure on younger lads to look and dress a certain way. You might not think it, but men do actually consider what we are going to wear to a party, probably not to the extent of women, but I can’t speak for all men,” he says. In the Irish culture it’s often unheard of for men to express their emotions, some may hate their physical appearance and never say two words about it, it’s important that this issue is highlighted as it is not just women whose body image is negatively affected by social media in today’s society.